This is the opportunity youve been waiting for. 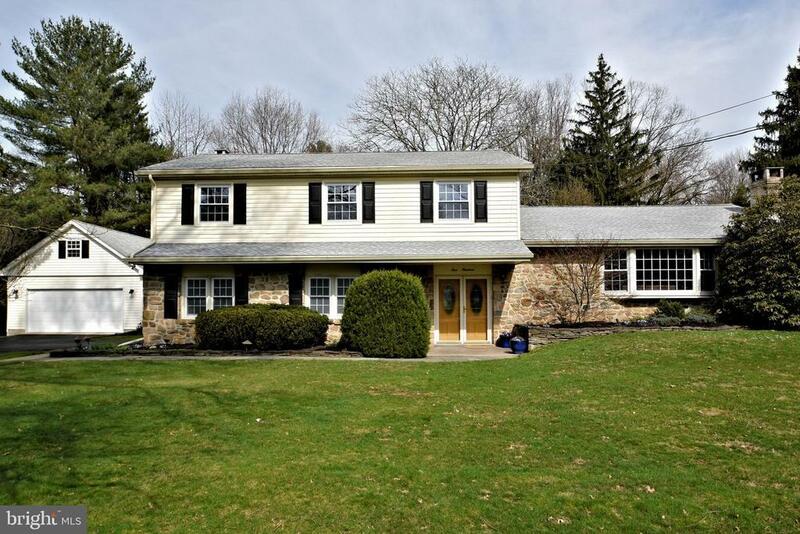 This well-appointed 4-bedroom, 2.5 bathroom, must-see home on just over an acre in Doylestowns popular Woods of Pebble Hill neighborhood. Pride of ownership shows throughout, with recent updates & meticulous maintenance. Welcome your guests from the covered front porch into a large open foyer & enter the sun-filled formal living room with its comfortable wood burning fireplace & over-sized bay window. Walk through the window-lined formal dining room to the eat-in kitchen, which is centrally located. It includes newer granite countertops, tile backsplash, & stainless steel appliances. Enter the expansive sunken den with a second wood-burning fireplace flanked with bookcases that will be sure to keep you warm & cozy. This level includes the updated powder room & the laundry room, offering additional access to the fenced-in backyard. Pass through the glass door in the den to enjoy the outdoor rooms including a covered porch and flagstone custom patio for an intimate dinner setting, or relax with your guests on the deck around the fire pit or in the built-in hot tub. This secluded backyard is the perfect space for hosting barbecues or relaxing to enjoy your surroundings while experiencing true indoor/outdoor living. Back inside, hardwood floors continue through the second level, which is comprised of four spacious bedrooms with generous closets, & two full bathrooms, both neutrally updated. The unfinished basement boasts high ceilings with abundant storage & much potential. In addition to the attached two-car garage, a newer custom 725 sq ft detached two-car garage is the ultimate retreat for the enthusiast of cars, sporting, woodworking, or other interests. The home features a new roof, a newer septic system, & a one-year home warranty for added peace of mind. It is assigned to the award-winning Central Bucks Schools, & in close proximity to dining & boutiques in the borough. Call for a showing today. There is nothing left to do to this home but to move in!